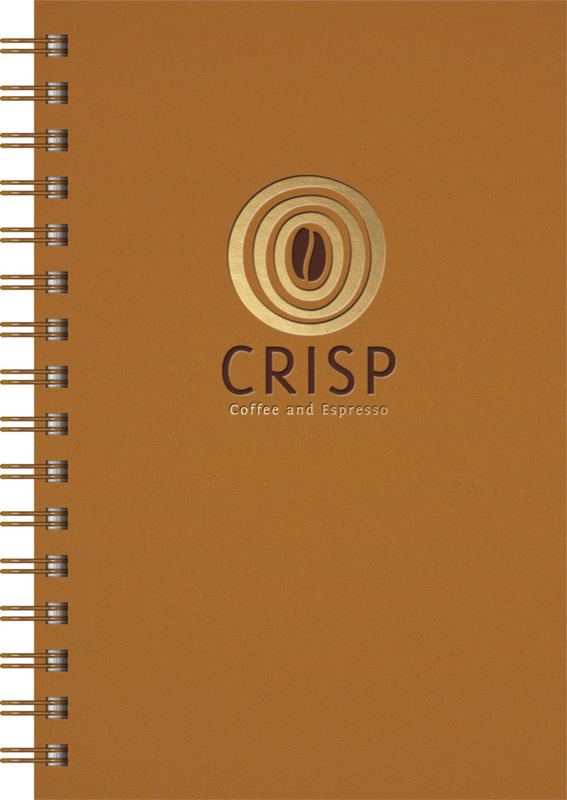 Iridescent paperboard front cover available in 4 jewel-tone hues, with black paperboard back cover. 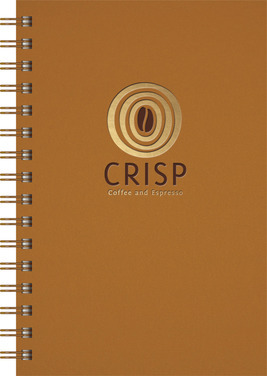 Includes 1-color foil imprint up to 16" sq. 100 sheets of 60# ruled paper. 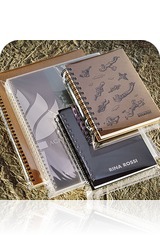 Black wire binding is standard; also available in white, bronze and pewter. *Turquoise, Marine, and Cognac are discontinued. Available while supplies last.